These first two pictures, taken a while ago, are of Donk's Theater, which is about two miles from my house in downtown Hudgins, Virginia. Donk's was built in the late 1940s as a movie theater but later was transformed to Virginia's Little Ole Opry courtesy of the Smith family. I saw my first movie theater in this beautiful building and as recently as last year I witnessed some pretty spectacular live musical performances here, one of which was John Berry. 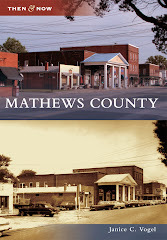 A staple of entertainment in Mathews County for many decades, Donk's and its dated but oh-so-unique and wonderful interior hosted many talented performers over the years. In fact, it's a little-known Mathews County secret that Dolly Parton even graced the stage of Donk's. True story. Over this weekend, while the rest of the Eastern Seaboard was experiencing This is The Big One of Blizzards, Elizabeth, Mathews County got a good bit of snow followed by a little sleet and a little rain and then a little more snow --which resulted in a very heavy, slushy weather event with high, gusting winds. Poor old Donk's Theater was not able to bear the weight of it all, and Friday night the roof just gave up and collapsed. Although there were plenty of pictures on Facebook, I had to go and see with my own eyes. So yesterday I dug my car out from the snow, grabbed my camera and arrived just in time to see Lynda Smith Greve, who manages the theater and performs there. She and her family have been standing vigil, sort of, as the remains of the building are starting to be dealt with. Below she holds one of the first microphones she sang with as a child at Donk's. This microphone, that holds such sentimental value and significance, was found in the rubble. Lynda and her brother Richard have been performing on stage here their entire lives. Lynda now has children herself who have stood on the stage of Donk's. Her mother is usually found in the entry and her father is the emcee. Donk's and the Smith family go hand in hand. They are one. While explaining to me the significance of the microphone, Lynda further explained that the owner of the building plans to rebuild. It wasn't clear at first whether that would happen, but as of now that's the word. This is good news. Great news. But there is still something very sad about losing this beauty of a building, it was one of a kind, brimming with memories. Below is my contribution to the Facebook page "Tribute to Donks". I saw my first movie in the front row of this beautiful theater in the 1970s (possibly 60's?) and enjoyed seeing some astonishingly exceptional local talent here just a few months ago. The soul, spirit and essence of this building cannot be described in a few words--nor can the family, whose raw talent and courage to perform live music for so long in such an isolated community cannot be overstated. We share their pain and the very deep loss of such an iconic establishment and can only hope the spirit that kept it alive for this long will continue and create something new. It cannot be the same, we know, but we hope the spirit of this building and of this family continues anew. Mathews County loves and supports you, Lynda Smith Greve and Richard Smith! Aw, that's a bummer. A real local landmark. This is so sad. I immediately thought of you and your wonderful community when I saw this in the news. Broke my heart. Although it won't physically be the same when rebuilt, the heart and soul of the community will make it even better. At least they are rebuilding. The theater I grew up with was turned into a shoe store, then later torn down for a new Rite Aid. That is too bad, it won't be the same without that very unique landmark . So sorry to hear the news, so blessed she waited til no one was inside before letting go. Betsy, sadly I never took pictures of the interior, but it was spectacular. If you're on Facebook, search for Tribute to Donk's Theater and ask to join the group. There are many shots of the stage and a few of the concession area. I took some more pictures today, demolition has begun, but we're hopeful they'll keep the facade intact. There is also a Go Fund Me campaign that I'm linking to, to help replace the cost of all the equipment they lost. We're hopeful there will be a rebirth of this building and the shows. (Sorry, I hit the button before I actually read that last comment.) What I meant to say is in my next post, which includes more pictures of the demolition, I'm linking to the Go Fund Me page.